The intent of Gentle Eagle is to motivate people in the search for biblical truth in order to produce a community with higher morals and character. As time goes on, people with godly motivation and biblical knowledge will endure, overcoming obstacles and oppression. The handouts below are continual works in progress and so the reader will find unfinished material as a norm. If the author waited until everything was complete, nothing would ever get published. This is the explanation why the discussion verses start in the middle of the year, and the fact that each one will have a unique format until a rut is worn in the path. Times are suggested but not written in stone. The Bible is the greatest motivational book that has ever been written. In fact, its primary purpose is to motivate people to come to know our Creator and to be empowered to follow His ways. The ways of God elevate humanity to a level that is beneficial to each individual and civilization. People that read the Scriptures have a potential advantage over those who do not. Do you read the Bible? Do you read the Bible regularly? Do you have any Bible reading goals? 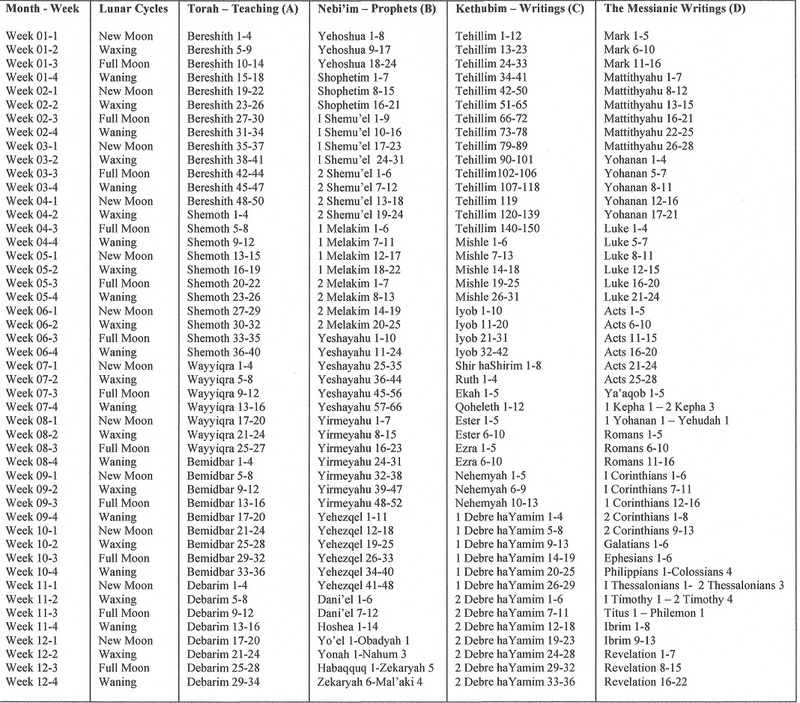 The printable Scripture Reading Schedule that you can view by clicking on the button below provides a way for you to systematically move through the Scriptures. You can read the entire Bible in a year or you can spread it out over a four year program by reading from just one of the Biblical divisions.